Last Spring I studied abroad at Nanzan University, Nagoya, Japan. From January to May I was fortunate enough to be placed with a wonderful host-family in Nagoya, not too far from the university. At Nanzan I studied 5 courses consisting of communication, reading and writing, translation, Japanese culture and art, and Japanese business. Out of all the courses I took at Nanzan, I would say that translation class was the most enjoyable. The pieces that we translated consisted of the grammar patterns and vocabulary from the Intensive Japanese courses, so this class was an extremely good way to solidify the new knowledge. Additionally, we translated fun exerts such as Harry Potter, and popular Japanese songs and poems. My favorite part of this class was the translation project. I translated Japanese recipes, such as “daifuku mochi,” so that I could make authentic dishes once I returned home. I am especially grateful to have had the experience of staying with such a kind host family while in Japan. Everyday I would come home from school, and rather than returning to bedroom, I would sit around the dining table with my host mother. We would talk, go shopping, karaoke, and make dinner together. She took me to such great places to enjoy Japanese cuisine, and of course, Nagoya’s specialty dishes. On top of that, she took me to Japanese hot-springs, hiking, try “mochitsuki,” and a wonderful night cherry blossom viewing. The experience was really made unforgettable thanks to my vibrant, and extremely generous host-mother. 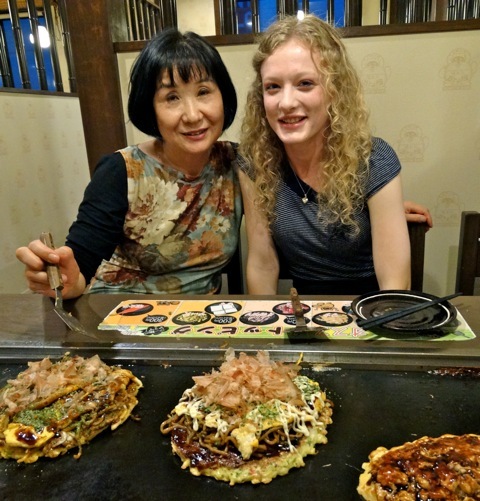 A study abroad experience would not be complete without travel, and when I was in Japan I got to make the most of the airline sales, and make a trip to beautiful Okinawa, as well as Tokyo. I especially enjoyed my experience in Okinawa. It was interesting to have a trip to a place of such historical significance, natural beauty, and a different lifestyle to the city-dwelling stereotype. It was satisfying to put my Japanese I have learned in college to use in day-to-day natural conversation and make Japanese friends. A lot of the friends I made are very interested in learning English, so it was so much fun to teach them a little English, and learn so much from them about their language, and culture. The language became so much more important to me after using it outside of the classroom to form friendships that I will treasure for many years to come. 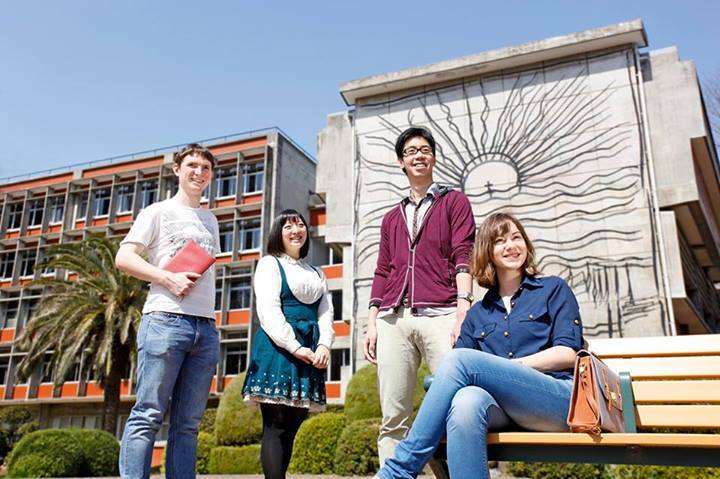 This entry was posted in Student Reflections from Nanzan University on November 1, 2013 by joshuae. My first experience studying in Japan was when I was fifteen and I spent my sophomore year of high school studying in Fukuoka, Japan. Then, last summer (2012), I went back to Japan for the first time since high school. I received two scholarships to fund my study abroad experience. One was the Bridging scholarship, and the other was the Pasona Internship Program Scholarship. Through the Pasona Program, I had the opportunity to complete a summer-long internship at a well-known toy company in Tokyo, Japan. I learned about Japanese business-manners, work-culture, and business in general. From Tokyo I went straight to Nagoya, Japan, where I studied for two semesters at Nanzan University, which is one of Dickinson’s programs. Actually, hearing about this program as a prospective student influenced my decision to choose Dickinson College. While I was there, I made the best of my experience. I entered the most challenging Japanese language classes, took a seminar with Japanese students, tried Japanese culture classes such as tea ceremony, and dabbled in club activities. Instead of a homestay, I was placed into one of the dorms located next to campus. I was afraid that living in a dorm would give me less opportunity to speak Japanese, and more to speak English. As it turns out, I lived in a close community of foreign and Japanese students, who taught me a lot about how young Japanese people live. My roommates were Korean and Japanese, and we made dinner and spoke Japanese together every day. I could not be more thankful that I had the chance to live there. 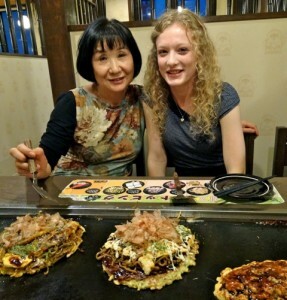 While studying abroad at Nanzan, I also worked a part-time job a few days each week. I was ecstatic because the café I worked at was a place where I could work closely with Japanese people in a professional environment while challenging my own language ability. Furthermore, chatting with the local customers was my way of engaging the community. The 12 months I spent in Japan taught me innumerable life lessons and skills. The key to study abroad is: always staying open to trying new things, realize that there are amazing opportunities for those who go looking for them, and to immerse oneself completely in the culture.